The luxurious 5-star Century Star was regenerated in.2008. 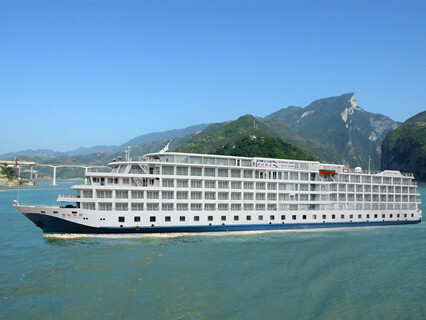 It has been proven to be one of the most popular ships on Yangtze River. 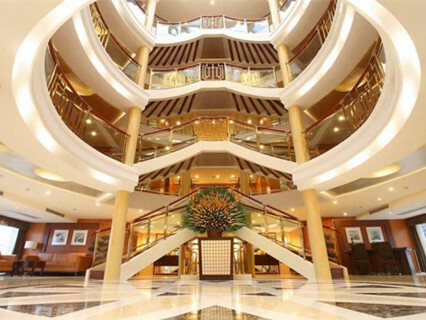 With its grand two-story lobby to the beautiful ballroom, elegant restaurant and top furnishing, the ship boasts the same comforts and amenities you would expect from a 5-star hotel. 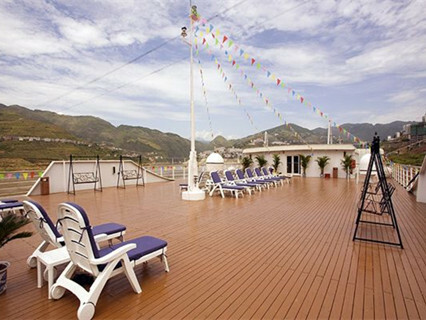 The ship features Spacious, all outside cabins have private balconies. Each cabin is equipped with a phone and color television, mini-bar, and all bathroom are designed according to the western standard. The two beds in the standard cabin can be combined to be a King size bed. 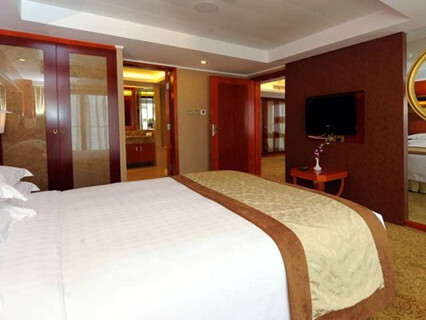 In addition, bathtub, hairdryer, telephone in bathroom are set in all Presidential Suites and Deluxe Standard Cabins. Meals aboard will allow you a choice of Chinese or Western entrees. You can enjoy local cuisine, but also delicately grilled salmon and tender steak on the menu, the Chinese meals are served in traditional family style. Attend activities on the cruise from 15:00 to 17:00 or take an optional tour to Fengdu Ghost City. There will be a disembarkation briefing at around 18:00. 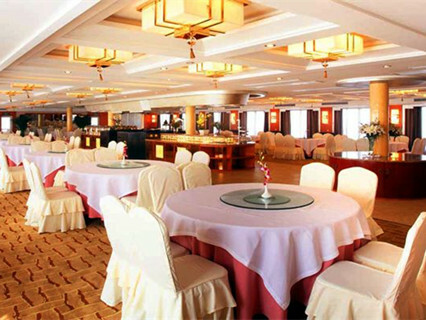 Have buffet dinner from 19:00 to 20:30. Later, you will settle the bills. And you can also enjoy your time to watch movies or sing Karaoke. Our group consisted 8 senior adults. 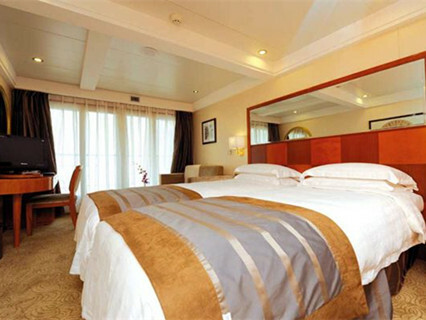 We booked 4 rooms for the 4D 3N cruise from Chongqing to Yichang. 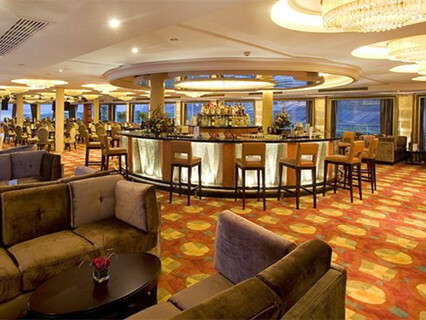 We enjoyed the cruising, the food, the sightseeing, and the service. However, 2 aspects may need to be improved : 1) the upgraded "VIP dining" was not worthwhile; 2) we were prepared for the RMB150 per guest more.. The trip was good, the only reservation I have is that it is geared towards group bookings and the needs of the self-booked traveller are overlooked. On trips off the boat I was randomly attached to a group, and for every meal I was placed with a Spanish group which spoke liitle English and as I speak no Span more..
Enquiry : I am interested in Up stream cruise (Yichang to Chongqing, Standard Cabin with Balcony.) on the Bridge Deck. Reply : hello, what is your nationlity? 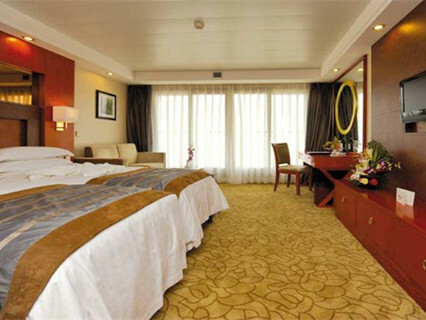 Enquiry : Inquiry about ,Century Diamond, 1 cabin for 2 adults, Start from ,Chongqing to Yichang,How long takes the reservation?